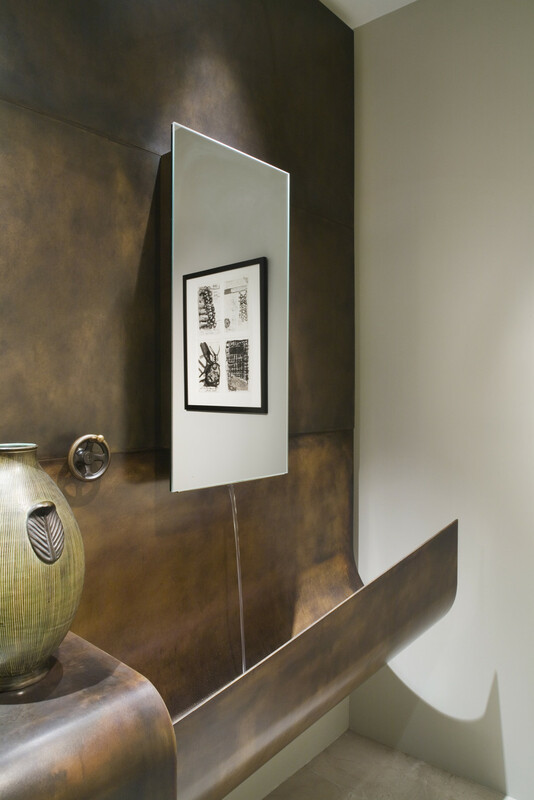 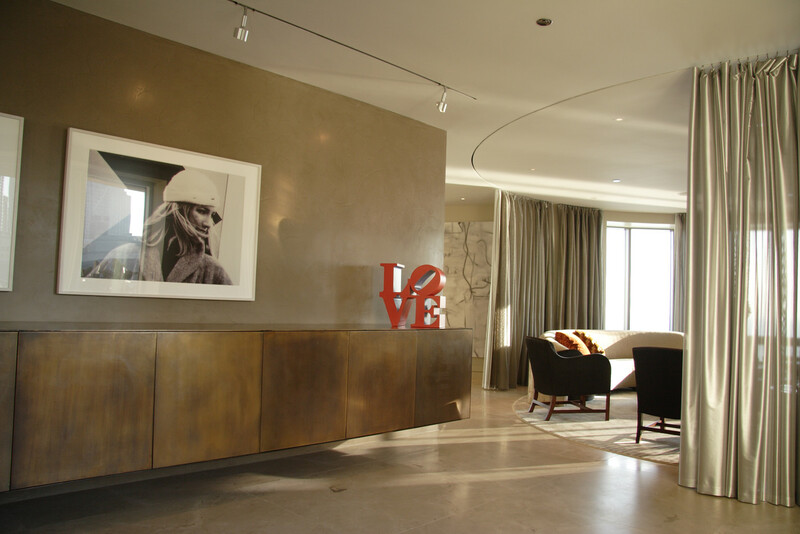 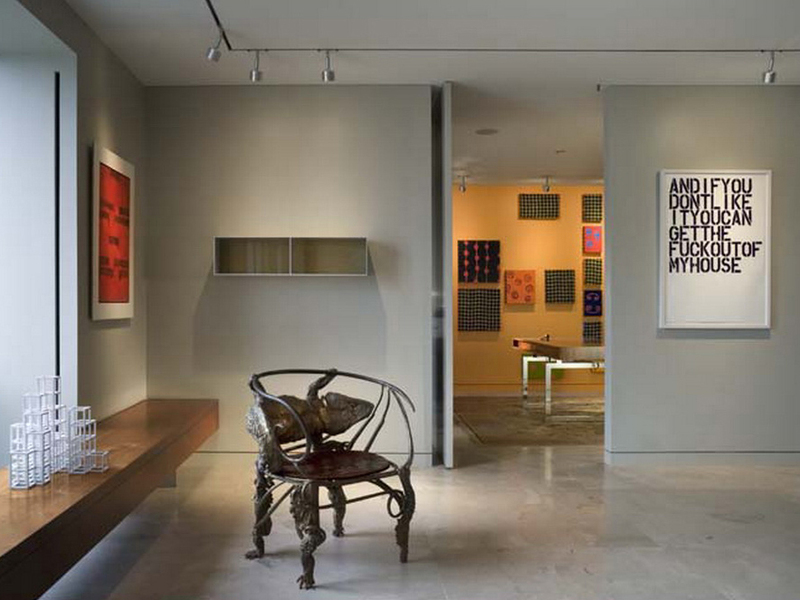 Starting with an exposed concrete space in a Chicago high-rise and maneuvering around vertical chase-ways and relatively modest ceiling heights, our challenge was to create a free flowing and spatially diverse residence using tactile materials that would enhance the experience of the city and lake views and accommodate an ever changing art collection. 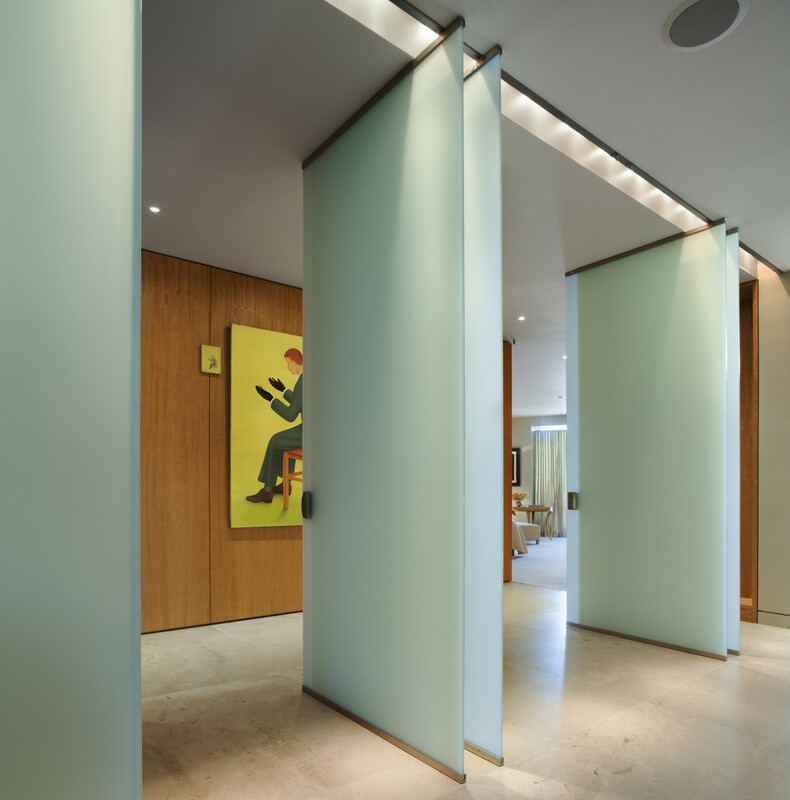 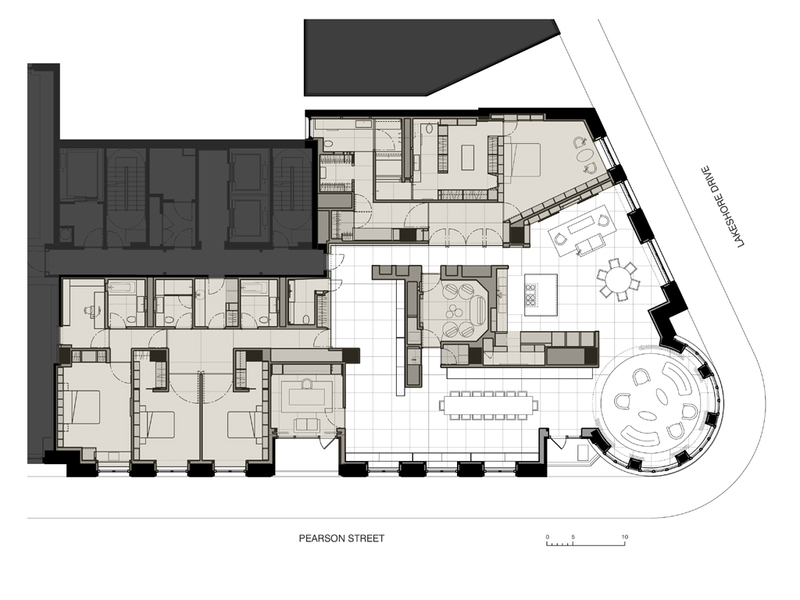 The main public spaces flow between the southern exterior window wall with abundant natural light and an interior back lit wall that opens to a multitude of functions behind. 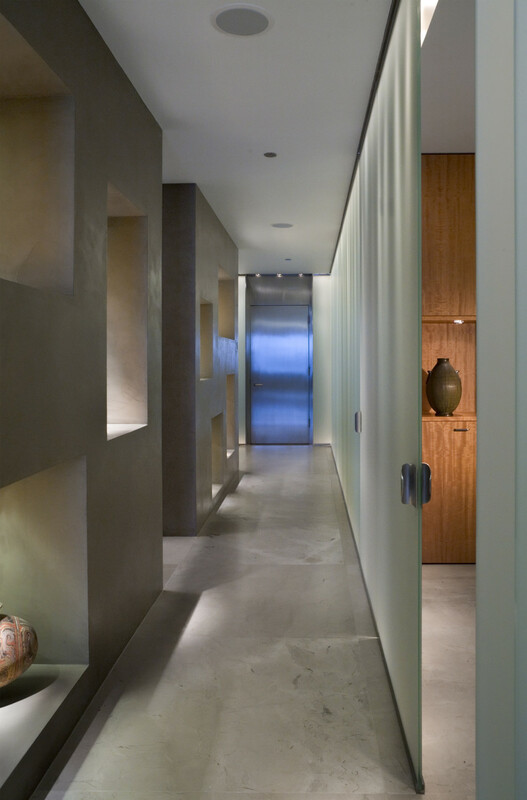 A central media room is carved out of a dense plaster internal volume and becomes a contemplative space that anchors the surrounding free spaces. 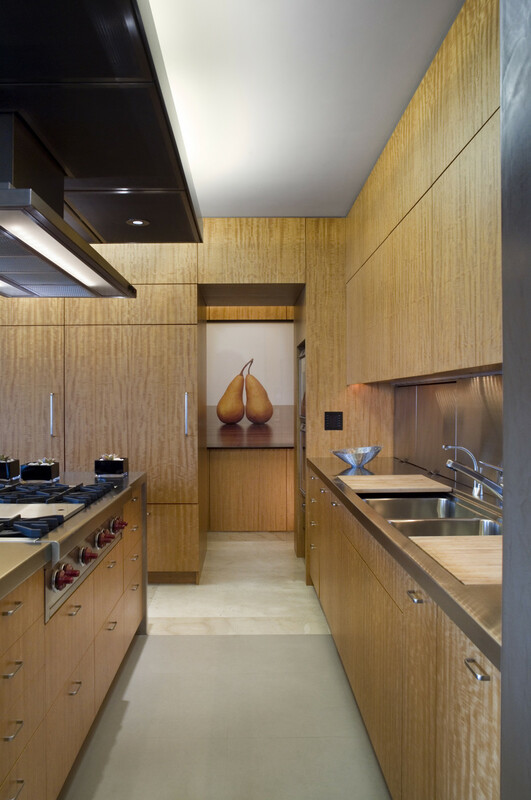 Natural wood cabinets are used throughout to as to define space. 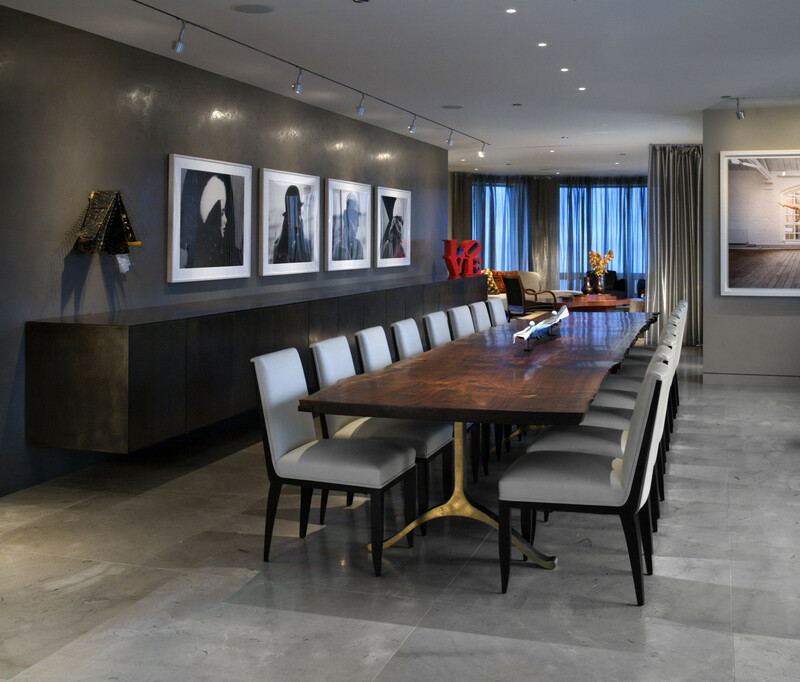 Large scaled bronze cabinets and walnut benches flow from one adjoining space to another reinforcing the overlap and movement of spaces. 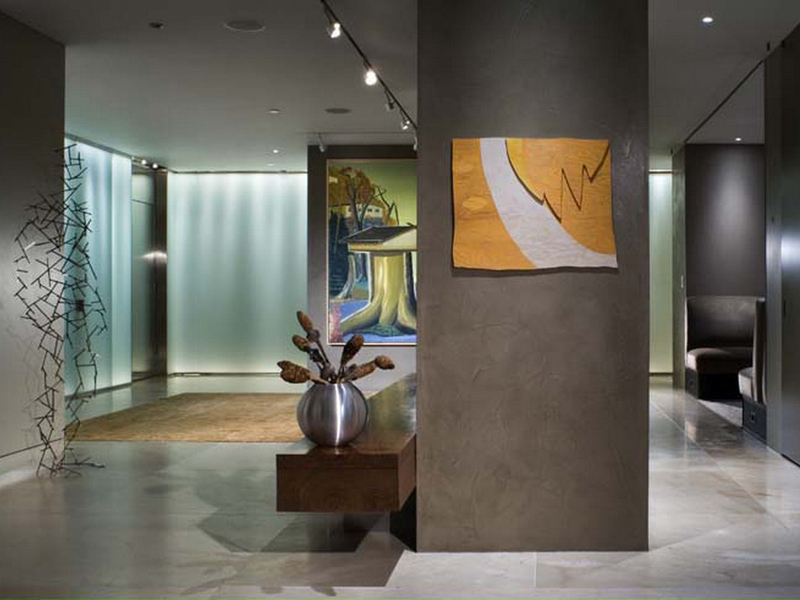 Honed stone flooring is continuous throughout the main public spaces. 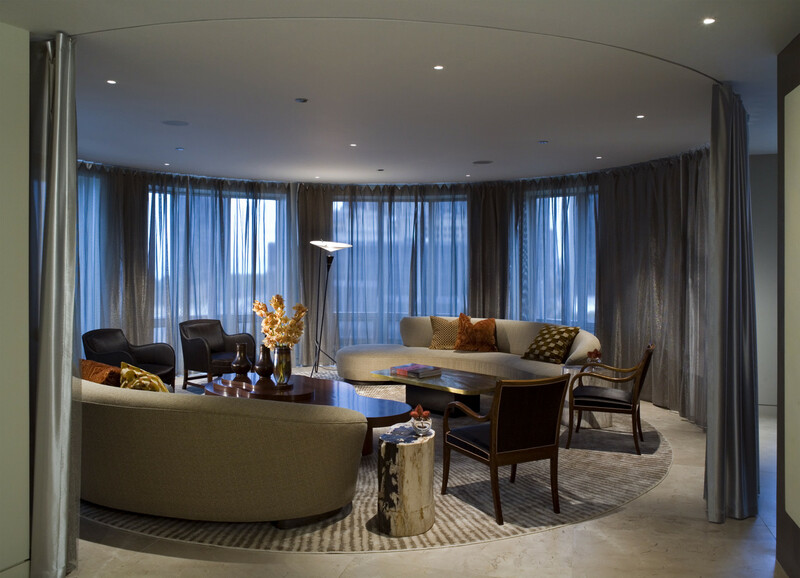 A chain-mail curtain completes the rotunda and adds texture to the living area.